Tuners from iRF provide exceptional performance and reliability along with an industry leading performance to cost ratio. Our tuners perform frequency translation with low distortion, high dynamic range, and low phase noise and, their low SWAP profile means they are very well suited for field solutions. The SMR-7500 LITERAIL family consists of miniaturized, portable intercept and surveillance subsystem receivers. They offer frequency coverage from 0.8 to 26.5 GHz. In addition to significant size and power reductions versus conventional set-on receivers, the SMR-7500 integrates signal digitization capability. The iTU-6410 VME tuner functions for both single and multi-channel (phase coherent) systems which make the iTU-6410 the tuner of choice for beamforming and direction finding systems, and for a wide range of scanning/acquisition ELINT and/or EW applications. 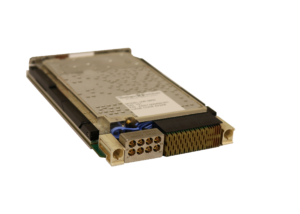 The iTU-6802 Dual Channel 6U VME, based on iRF’s SMART RF Deck, provides industry leading SWAP with 2 Channels on a 6U VME card. The iTU-6802 require less than 40 watts while maintaining a superior Spur Free Dynamic Range of >65 dB. The iWR-6800 provides a fully synthesized 0.5 – 18 GHz (optional extension to 26.5 GHz) microwave tuner on a 3U VPX card. The unit requires less than 25 watts yet maintains superior Spur Free Dynamic Range (>60 dB). Features specific to the iWR-6800 make it the converter of choice for beam forming and direction finding systems. 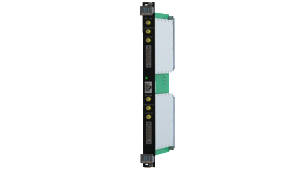 The iWR-6910 is a high reliability, high performance RF tuner with minimal power consumption. The low profile down converter is built using iRF’s RF SMART Deck. Despite its small size and low power, the iWR-6910 provides excellent phase noise performance and signal fidelity.